Hooray! Fall is finally here–I love everything about Fall…the return of jeans, sweaters, pumpkin spice cake….and HALLOWEEN!!! 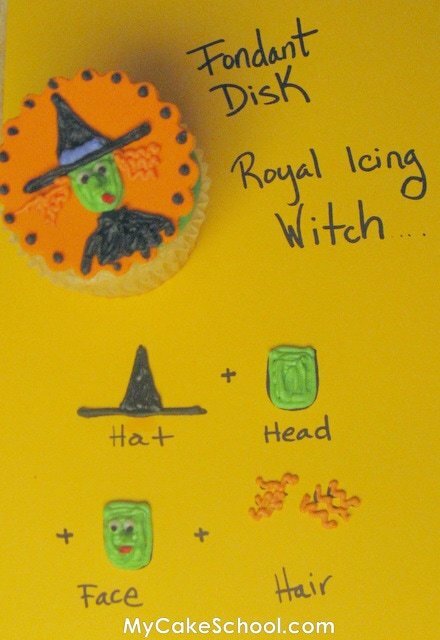 Is anyone planning a Halloween party? Or maybe you are in the mood to make something festive for the family—no matter what your motivation, I want to show you these cute cupcakes that BeBe & I made today—AND how you can make them! There are plenty of designs to choose from…I hope something jumps out at you! 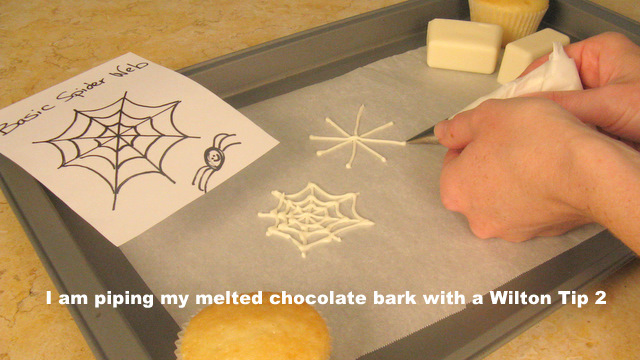 Here I am, piping spider webs with melted chocolate bark (candy melts work for this too) onto parchment paper. Once done, I’ll pop them in the freezer for a few minutes to firm up! Now, some ghosties. I placed mini chocolate chip eyes while the chocolate was still soft. Then, everything goes into the freezer for a few minutes to firm up! Now for the right side, I added a black cat (piped on a chocolate grasshopper cookie) with royal icing face and candy corn ears. One last shot of the whole group! 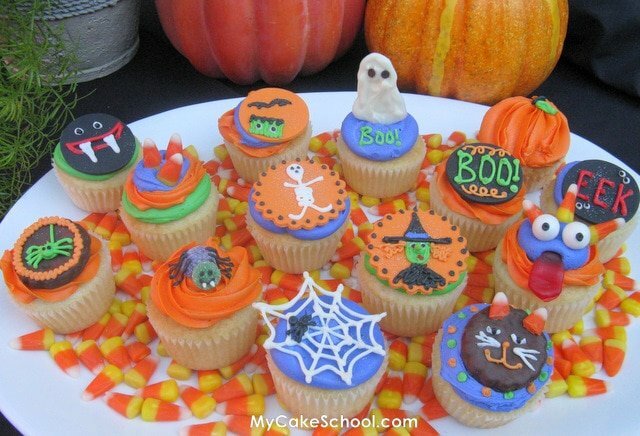 **Update– Cupcakestakethecake.blogspot.com posted our Halloween cupcakes on their site! Hooray! 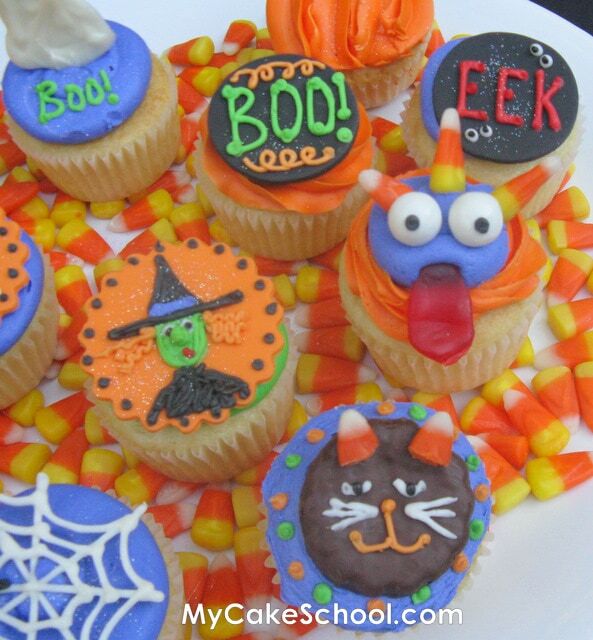 Visit their Blog often for cupcake inspiration….they post new pics throughout the day. 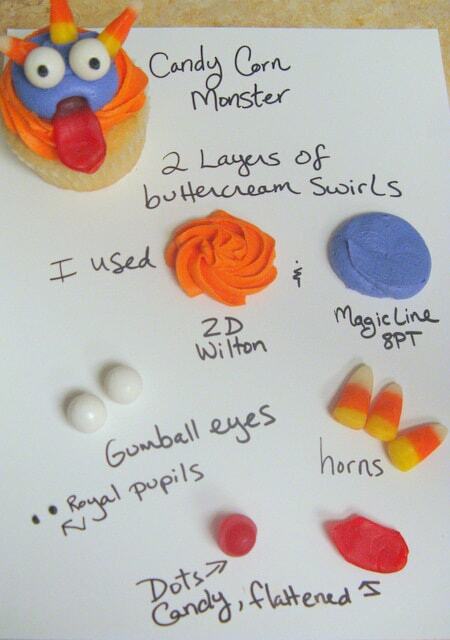 Love the candy corn monster and the pumpkin! 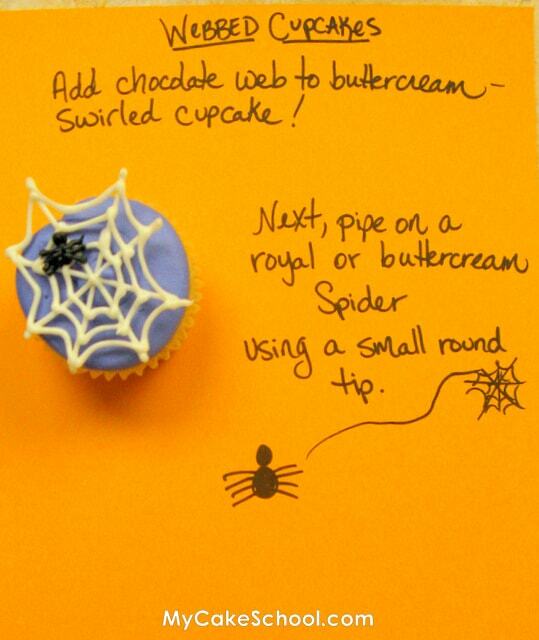 What adorable ideas! Your step-by-step instructions are fantastic! 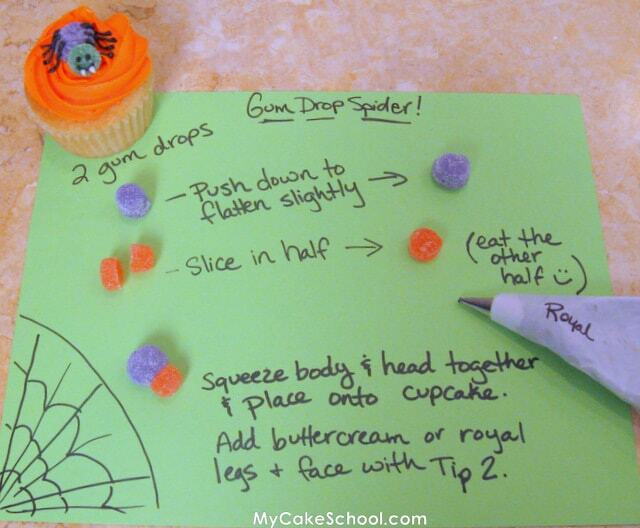 I’m hosting a giveaway on my site right now and I’d be tickled to death if you’d enter these cupcakes! 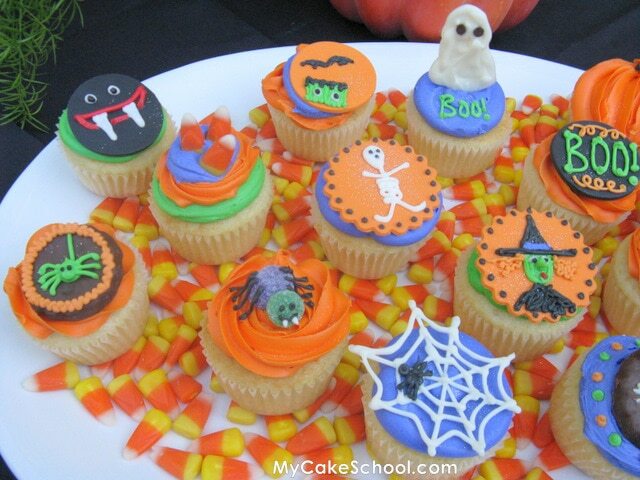 The cupcakes won’t be judged…they’ll simply serve as inspiration to my readers, and each cupcake that is submitted counts as one entry to win the prize…a $50 Shopping Spree to the TomKat Studio! I’d be more than happy to make sure that a link back to your page is included so you get the proper exposure. I hope you’ll join in the fun! And please, spread the word! The drawing will be held October 20th. Fantab!! I can’t wait to try some of these!! Great job on the cupcakes!!!!! LOVE THEM!!!! Thanks for the inspiration and the detailed directions! You probably already know this, but just in case someone else doesn’t…you can take your “true to size” design/printout and put it under the parchment paper when piping out your chocolate. Then you can trace the design or letters to get a consistent look. I have used the computer to print out heart shapes and words (nice to add to cakes), then all I have to do is put them under the parchment paper and the shape/word is visible through the parchment paper to trace. If I am making a whole tray of one design, I just print out multiple images on one sheet of paper. 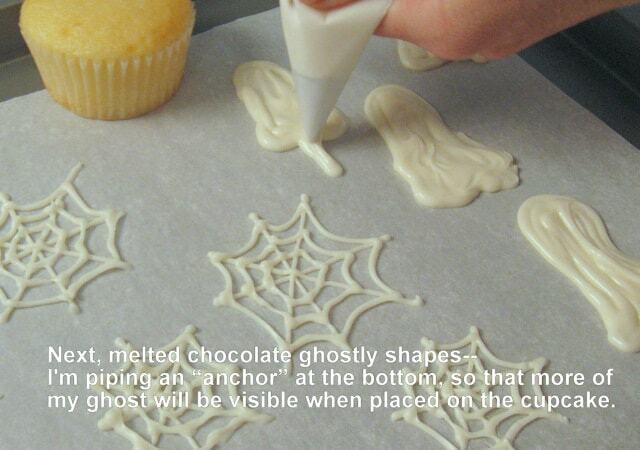 Just something I figured out since I don’t have the best freehand when piping chocolate. Thanks again for the instructions!!!! GREAT JOB! If I wing it, you wouldn’t be able to tell what it is…lol. Can’t wait to see the video!!! Love your blog! LOVE THESE! You’re so darned talented! Thanks for sharing your tips. I LOVE how you just wrote it out and made it look so easy. You know, I may surprise my boys with some of these this year! Thanks for the kick in the pants!! Hi, Melissa, Good job! You should become a teacher. Learn all you can and share your knowledge. 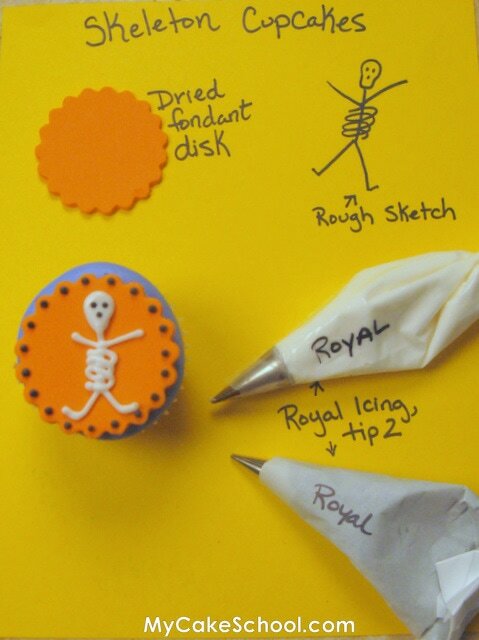 Love this clever tutorial! And the cupcakes! 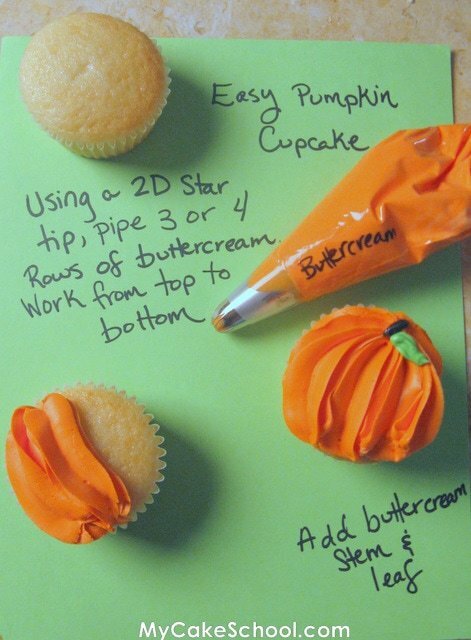 I spotted this on Tip Junkie and I also posted a feature and link to your site on my blog (ediblecrafts.craftgossip.com). Thanks for sharing this! What great ideas! Thank you for sharing.